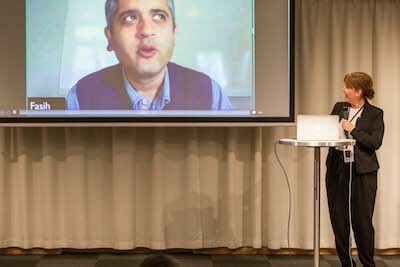 The first Sourcing Outlook took place in Stockholm end October 2017. 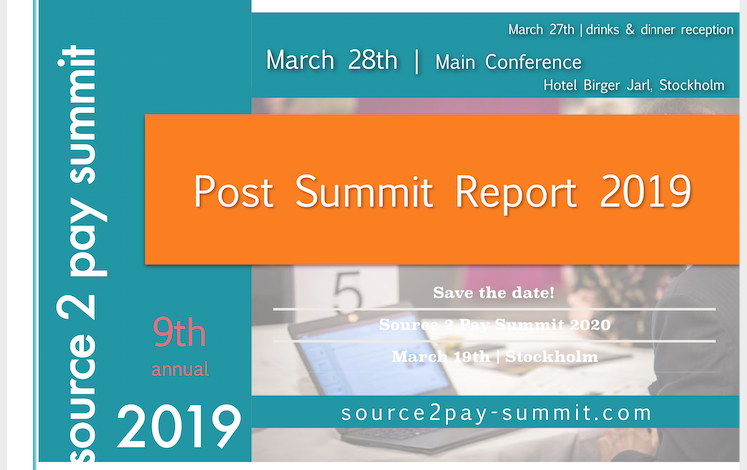 Creating and hosting a second annual conference wasn’t an easy decision – it had to be with a focus that felt fresh and to-the-point. 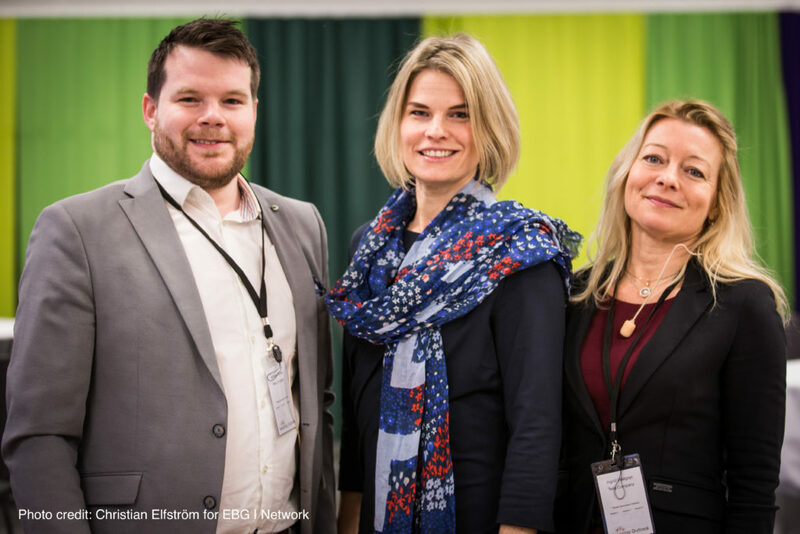 EBG decided from the get go that one aspect had to be present in the conference – a real example of creating win-win, collaborative ways of working with sourcing. 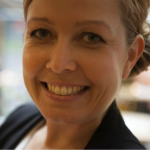 From a business – buyer and supplier perspective. 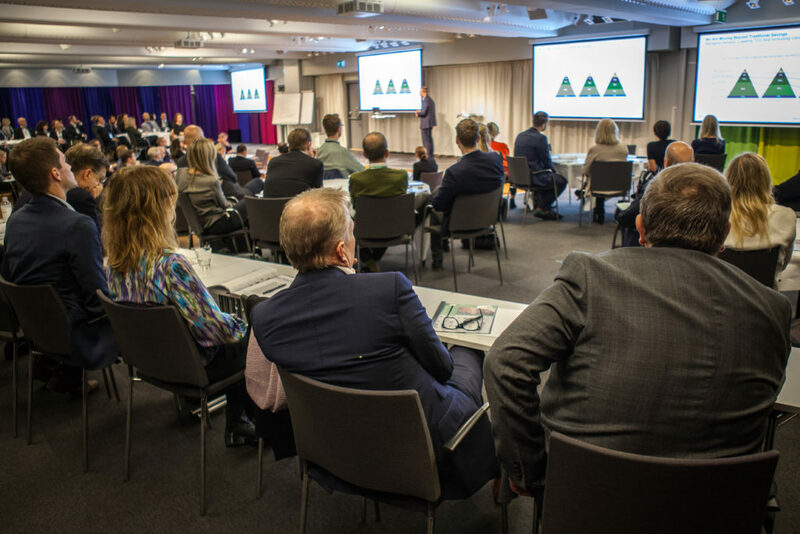 And so came the Telia Company and Veolia agreement and we were able to place all three aspects on stage – the business – sourcing and the supplier. Because it is of course one thing saying you want all parties to be successful – a completely different thing actually doing it over time (take for instance such a seemingly small detail as finance changing payment terms widely). 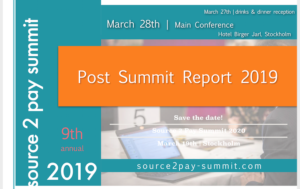 Take a look at the Post Summit Report to see what it looked like and some comments from those who were there >>Post Summit Report (downloaded as a PDF). What goes on in the market? 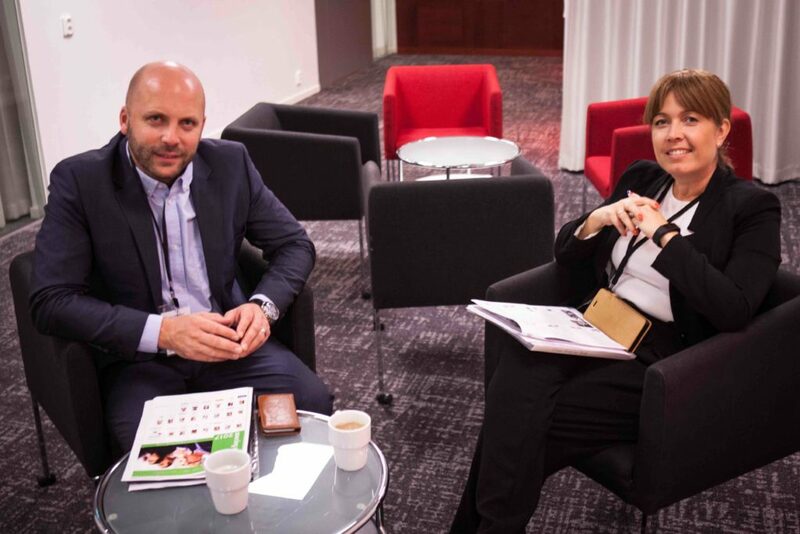 EBG also decided it would be suitable with a run through over trends and developments within sourcing and procurement and invited Nicolas Walden at The Hackett Group to come share their know how. 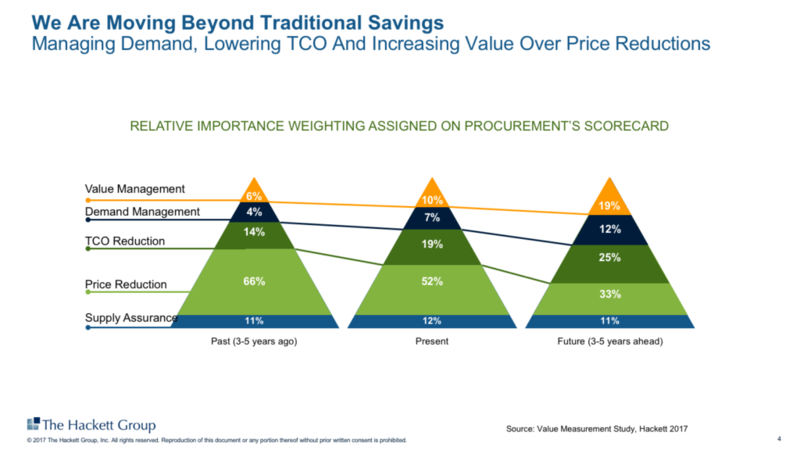 And although we know most focus may still lie on reducing cost – we think the big difference is understanding that value management can co-exist with cost reduction. 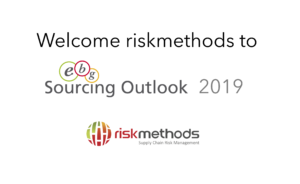 Together with Focused Theme Discussions – a new feature – and Theme Discussions (well known EBG feature) the presentations and discussions at Sourcing Outlook gave what we aimed for – concrete and real experience exchange. 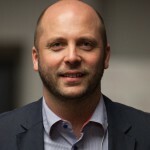 And this is a challenge for people – like us – working with content creation – balancing between future possibilities and opportunities and digging deeper into what is common challenges here and now. How fact based is your sourcing and procurement department? How can we not focus on how to increase insights? 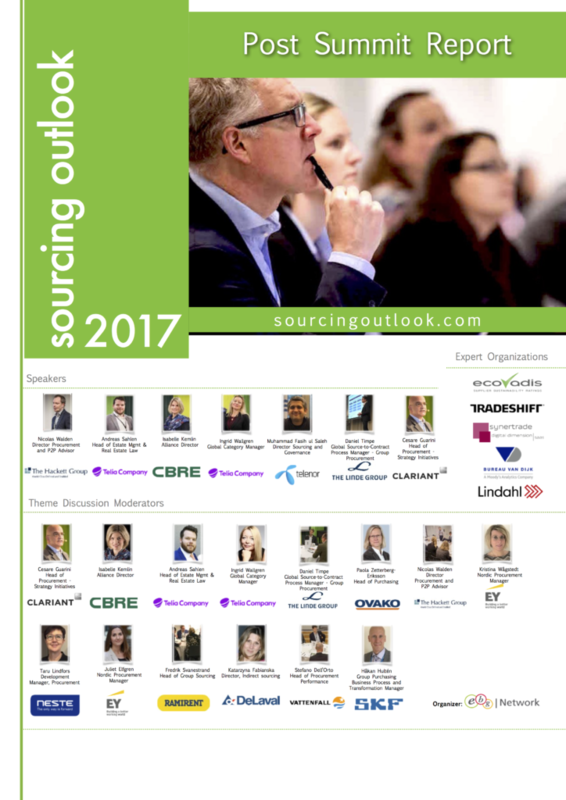 Sourcing Outlook focused on thee large aspects of successful business and customer alignment – Strategy, Operations and Governance. Of course you cannot have one without the other but it can be good to consider how to enable all aspects of making strategies come true. 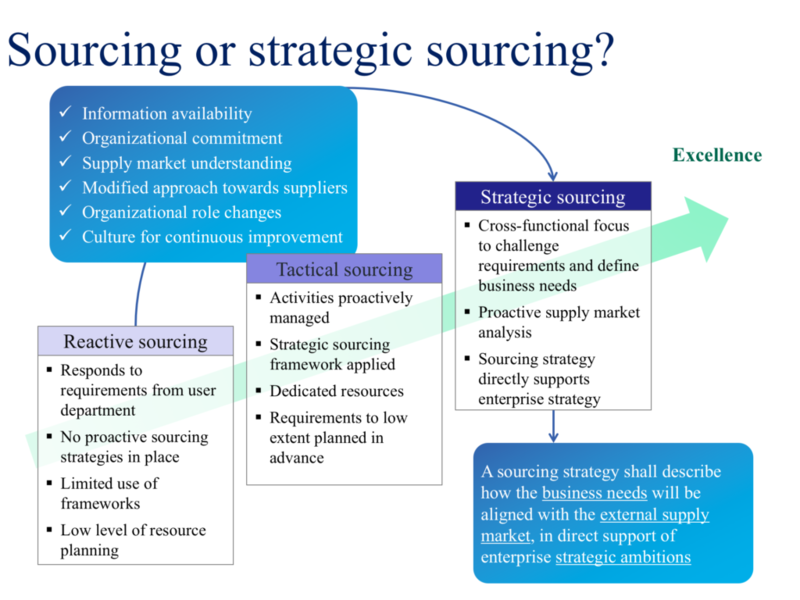 Fasih at Telenor shared the below slide – where are you on your sourcing journey? 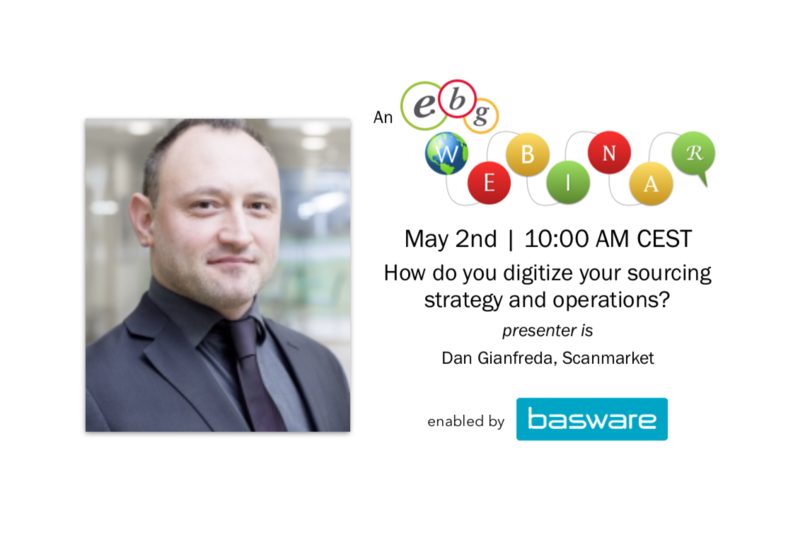 During Sourcing Outlook it became quite clear that many have a clear division between “upstream” and “downstream” processes, i.e source to contract and purchase to pay. Right or wrong? 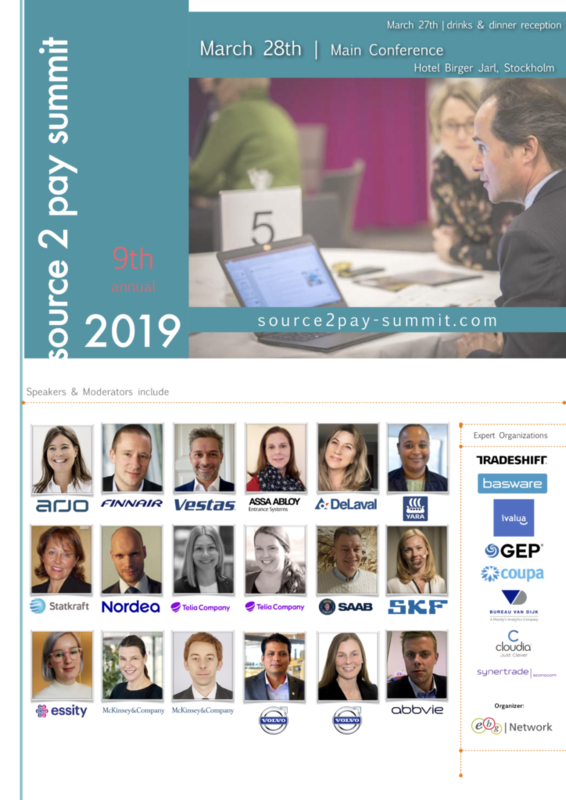 Connecting the dots between sourcing, procurement and finance is in our experience key hence the need for the upcoming Source 2 Pay Summit 2018 taking place in Stockholm in April. 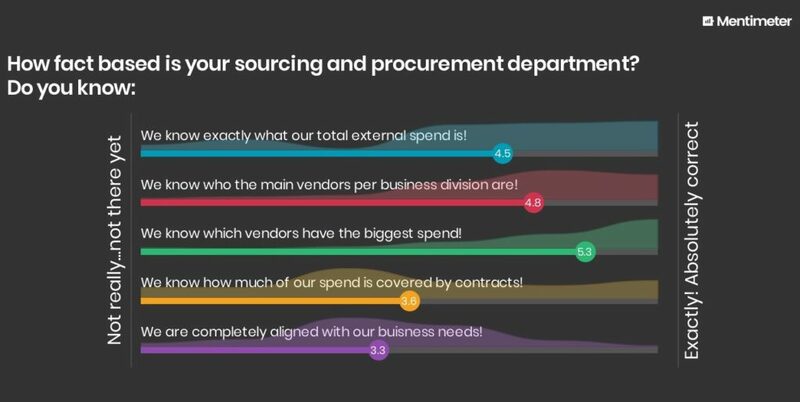 How do you define and measure your end to end sourcing activities? 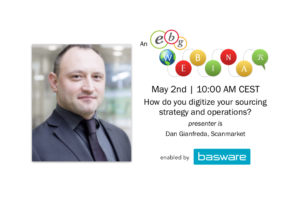 And – how do you measure your sourcing success? 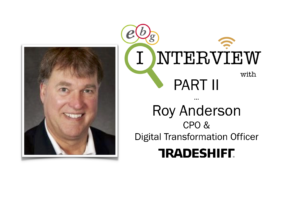 How are you a part of defining and evaluating customer and business needs? How do you ensure contracts are available and bought from? How do you make sure what your department and team do on a global level is user friendly and possible to act from on a local level? Are you a part if the budget process? If yes, how do you follow up on strategy success? 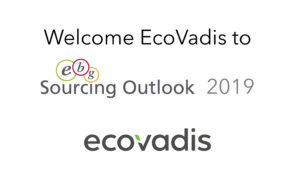 During Sourcing Outlook moderators from companies such as Vattenfall, EY, Neste, DeLaval, Ramirent, SKF, Clariant and Ovako shared their own experiences within different areas and expert organizations such as EcoVadis, Tradeshift, Bureau van Dijk, Lindahl and Synertrade shared theirs. 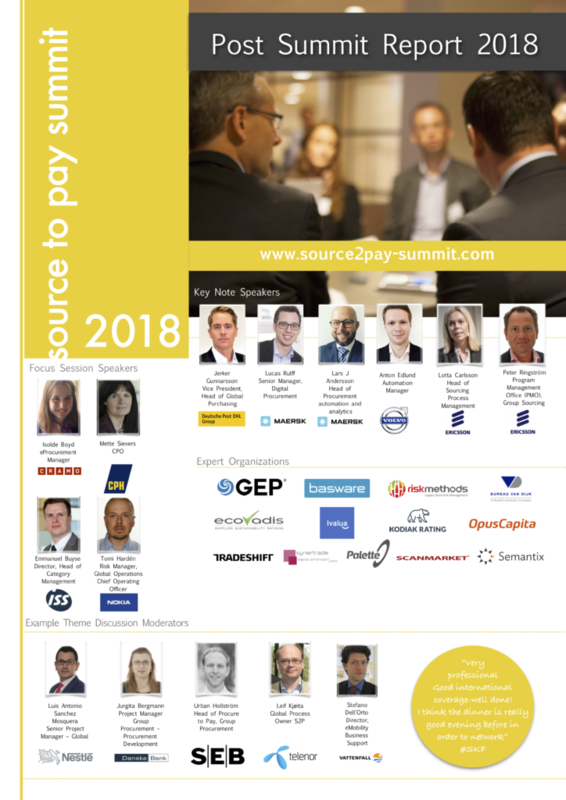 EBG | Network thank all who came and we are confident Sourcing Outlook have a place to be also next year – welcome October 2018! 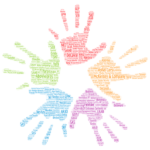 If you want to be a part – as a practitioner sharing know how or a sponsor sharing expert advice and services, contact us now. We will consider both adding a bit more shine and enabling digging deeper – but most of all – we want to help you face today’s challenges and grab today’s opportunities and thus enable you to look ahead towards the day after tomorrows possibilities.